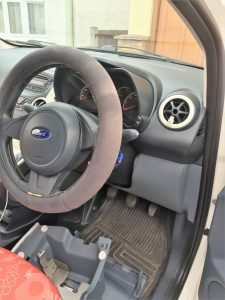 Car Locksmith Basildon? 07708759815, Autolocksmiths in Essex. Do you need a car locksmith Basildon? Have you had your car or van Keys stolen in Basildon? Have you Locked your keys in your car or van in Basildon? Do you have a vehicle immobiliser problem in the Essex county. Your local Basildon locksmith can help. Covering not only the the Basildon region but the entire region of Essex. We have engineers based over the Essex county. So are able not only able to offer fast response times, but at the local prices. We have our vans fully stocked with keys and transponder chips so are usually able to complete the job on our first visit. This not only saves you time by us completing the job quickly. But also money in firstly not having to have your vehicle recovered, and main dealer prices. Some of the services offered at car locksmith Basildon are listed below, but if your problem is not on our list do not worry this is only a guide just call. So as you can see we really are a one-stop shop for all your Auto-locksmith needs, You will be quoted over the phone and the price quoted will be the price you pay on the rare occasion that we find there is addition work on the vehicle, you will be given a no obligation estimate of costs. So if you need a car locksmith Basildon or a autolocksmith in the Essex county call us now on 07708 759815 to speak directly to an Auto-locksmith.